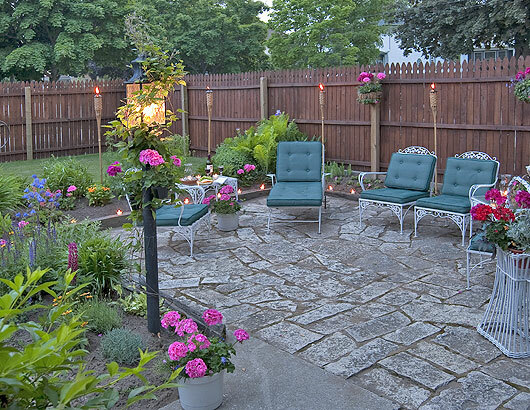 Where quiet parks and scenic countryside awaits you. 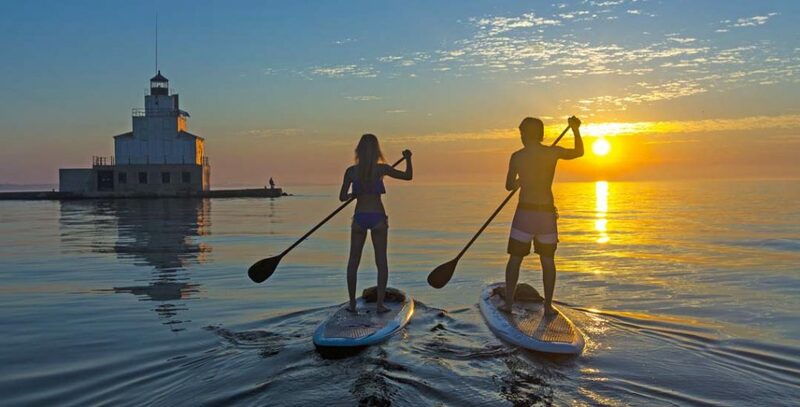 The Port Cities of Manitowoc and Two Rivers invite you to “Coast for A While” and explore our hidden treasures. Rawley Point Trail ~ Six miles of hard packed limestone trail connecting Two Rivers and Point Beach State Park. The trail winds through pine and hemlock forests, dunes, and fields. Hop on the trails from our front door. 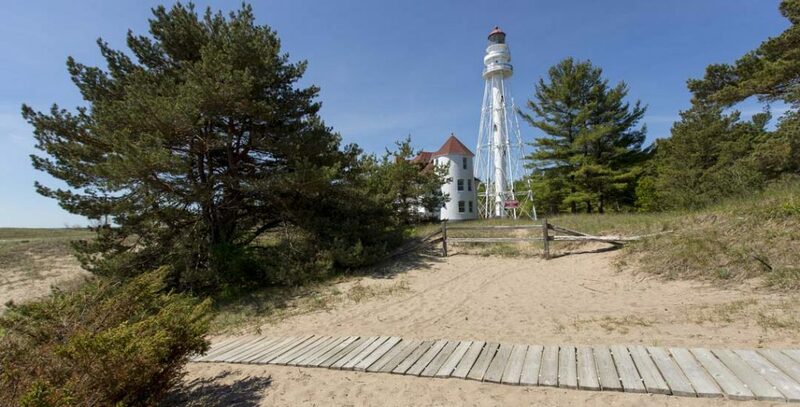 Point Beach State Park ~ Miles of hiking, biking, and cross-country skiing trails along the Lake Michigan coastline. The park is located five miles from Two Rivers. 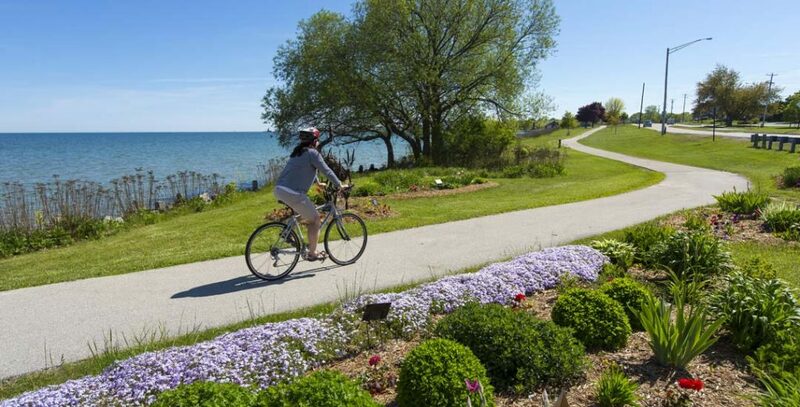 Mariner’s Trail ~ Six miles of paved lakeshore trail joining Manitowoc and Two Rivers. Enjoy the lake view and flower gardens along the way. 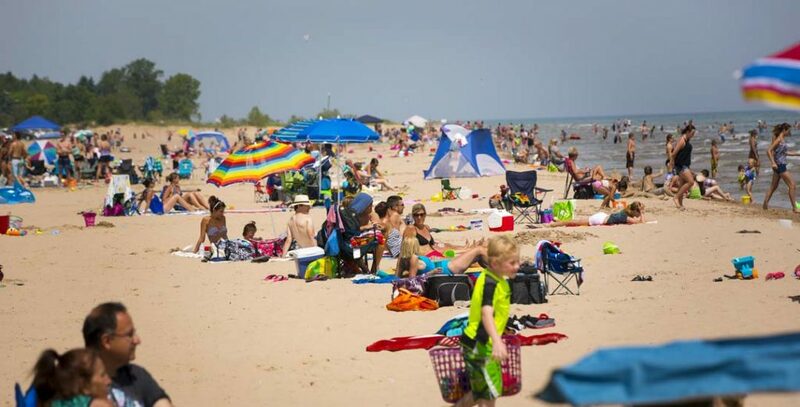 Neshotah Park and Beach ~ Beautifully clean, sugar sand beach in Two Rivers is waiting for your footprints. 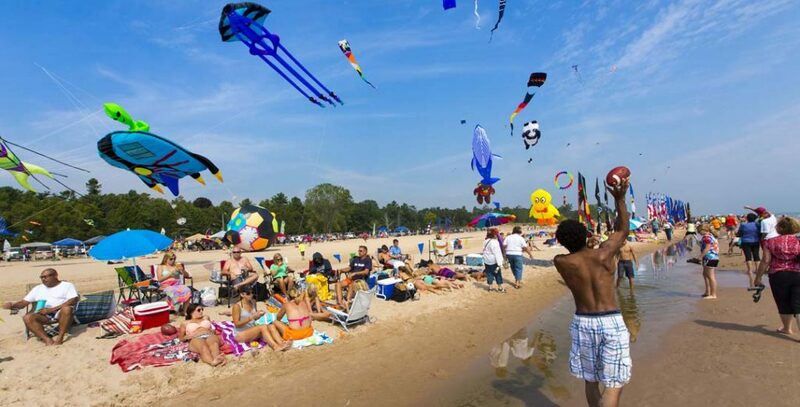 Go fly a kite! West of the Lake Gardens ~ 5.5 acre estate features vistas of colorful annuals and perennial flowers gardens located along Mariner’s Bike Trail. Devil’s River State Recreation Trail ~ Eight miles of our newest multi-purpose trail is now open from Rockwood Rd. to Green Street Rd. Eventually it will stretch 14 miles from Rockwood to Denmark, WI. Ice Age Trail ~ Glaciers sculpted a unique landscape across Wisconsin. Discover the glaciations on the 1000 mile Ice Age Trail which runs along the upper East Twin River and into Point Beach State Forest for a beach stroll along the glacier’s major feature, Lake Michigan. Woodland Dunes Nature Center ~1200 acre preserve, marsh, prairie, and woods. 7.5 miles of trails and boardwalks. 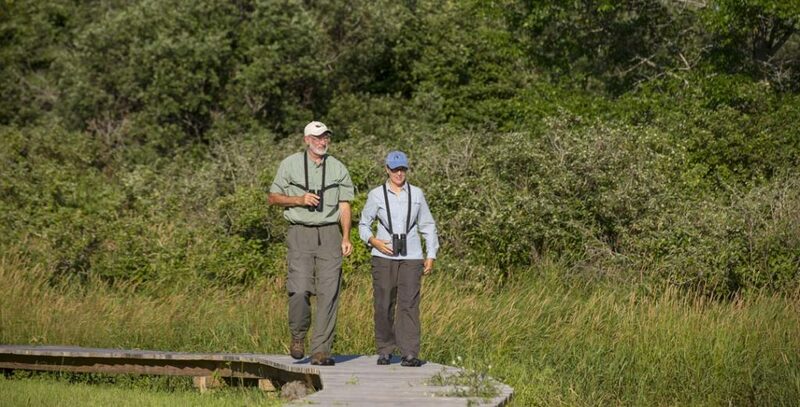 Woodland Dunes is a birdwatchers haven. 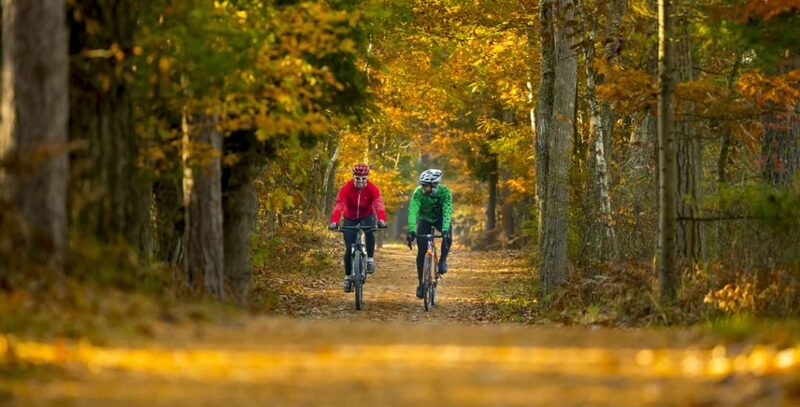 Local bike rentals available in Two Rivers. 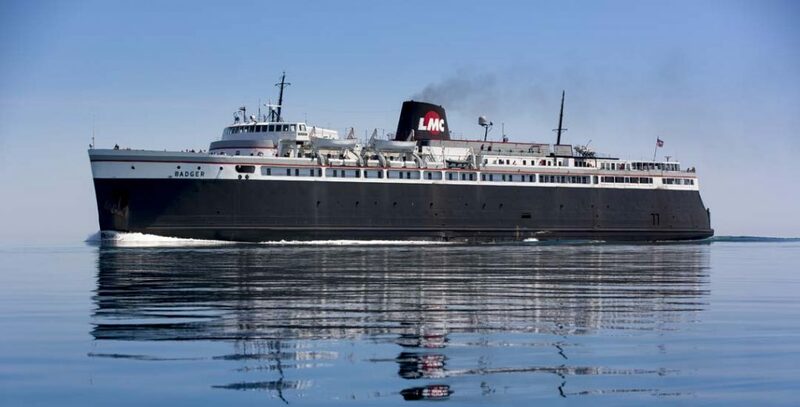 Lake Michigan Carferry ~ We are located only 7 miles from Manitowoc, WI the Port City of the S.S. Badger Carferry docking daily during the summer. The four hour cross-lake trip goes from Manitowoc, WI to Ludington, MI. Lake Michigan Charter Fishing ~ Lake Michigan sport fishing at its finest! Our 12 U.S. Coast Guard licensed captains are waiting to take you on the fishing adventure of a lifetime. Shipwreck Adventures ~ Kayak and canoe rentals. Dive our great lake shipwrecks on Wisconsin’s Schooner Coast. Equipment rental available. Recreational through technical diving specialist. Rahr-West Art Museum ~ A spectacular 1891 Queen Anne Victorian mansion featuring changing exhibitions and American Art. Carreaux Du Nord Art and Tile Gallery ~ Visit the gallery in the “Great Room” of this former Hamilton family English manor home. Featuring handmade art tiles and works by other local fine artists. London Dairy Alpacas & Fiber Studio Gift Store ~ Get close and feel how amazingly soft the exotic alpacas are. Unique gift store filled with warm, durable, non-allergenic natural products. The Bernard Schwartz House “Still Bend” ~ Designed by Frank Lloyd Wright in 1939. Public architectural tours given the first Sunday of every other month. Reservations required. See website calendar for tour dates. Historic Washington House ~ Visit this 1850 immigrant hotel with rare murals and Berner’s Ice Cream Parlor “Home of the Ice Cream Sundae”. Get the scoop here how it really happened. Hamilton Wood Type Museum ~ The world’s only museum dedicated to the preservation, study, production, and printing of wood type. Rogers Street Fishing Village & Museum ~ This museum tells our Two Rivers story of once operating the largest fleet of “mackinaws” on Lake Michigan for the commercial fishing industry. Wisconsin Maritime Museum ~ The Lakeshore’s Maritime History comes alive. 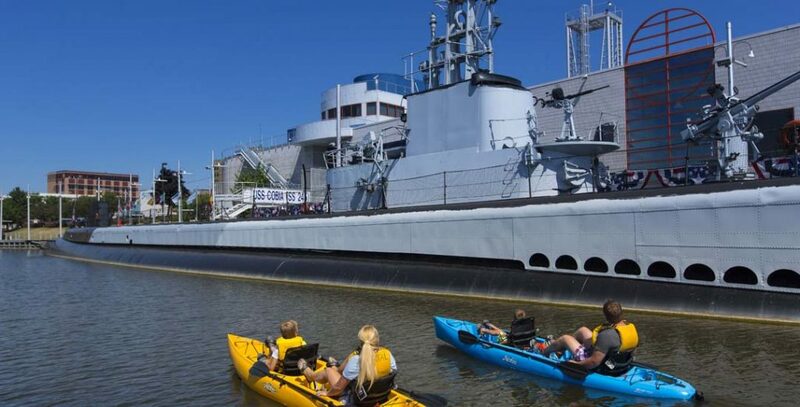 Explore a fully restored WWII submarine, the U.S.S. Cobia. Pinecrest Historical Village ~ Visit an open-air museum interpreting village life from 1850 – 1900. Audio tour brings to life 25 beautifully restored original buildings in the village. Capitol Civic Centre ~ This elegant theater referred to as “The Jewel of the Lakeshore” now serves as home to several local performing arts organizations, as well as national professional tours, art education activities and civic events. Door County, WI ~ 1 hr. Super Bowl Champion Green Bay Packers & Lambeau Field ~ 35 min. Von Stiehl Winery, Algoma, WI ~ 30 min. EAA Air Venture, Oshkosh, WI ~ 1 hr. Road America, Elkhart Lake, WI ~ 1 hr. Whistling Straits Championship Golf Course ~ 45 min. To make a reservation, call us toll-free at 1-888-250-2272 or reserve online.